Pregnancy is a beautiful part of life for many women, and a unique experience that only women can undergo. However, that doesn’t mean that pregnancy is all sunshine and rainbows. Pregnancy can also be a difficult time, full of pain, discomfort, and adjusting to your new body, and the little body inside you. When you’ve got ‘a bun in the oven’, you may notice little things, like eating, sleeping, or even going to the bathroom are completely different than they’ve always been. If you’ve been having trouble adjusting to sleeping pregnant, read on for ten tips that should get you rested again. When you’re pregnant, you may feel like you’re just a walking baby factory, but it’s important to remember that your health is just as important as the child’s. After all, your new baby wants to meet you too! During the later months of pregnancy, your body is essentially shaped like the letter ‘b’. Sleeping on your stomach won’t harm the baby, but it can make your back feel uncomfortable and cause poor blood flow and trouble breathing. Sleeping on your left side puts the baby in a more natural position, meaning that both of you will get better sleep. Sleeping on your back is always a good option, unless your belly is so big that you feel it is weighing down uncomfortably on you, or if it feels like a balancing act keeping it above you. 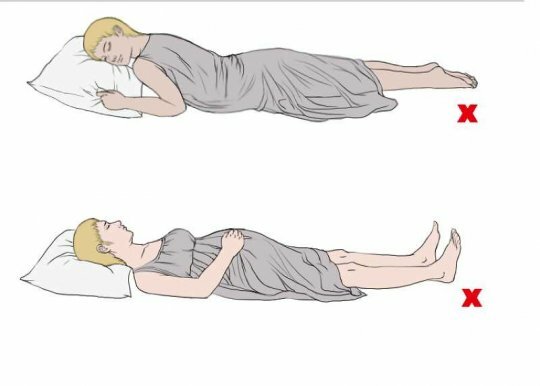 If you’re not used to sleeping on your side, it can feel a little like you’re propping yourself up, using the baby belly as a sort of kickstand. 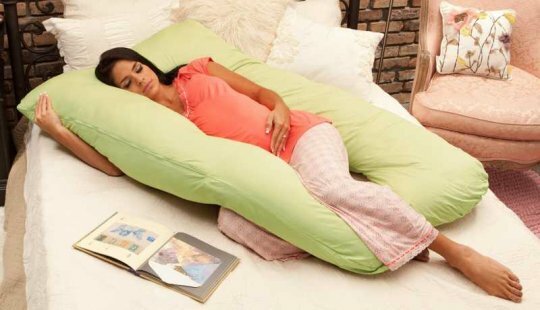 Bolstering yourself on the sides with pregnancy pillows will allow your muscles to relax, letting you drift off to sleep more naturally. Getting to sleep while pregnant is tough enough without getting woken up multiple times but a tiny person sucker-punching you in the bladder. Empty that bladder before bed to allow you to stay asleep once you fall asleep. Just as you found that sleeping positions had to change when you entered the furst trimester, you may find the same happens when you enter the second trimester as well. Don’t be afraid to try new positions as your body evolves with the baby. 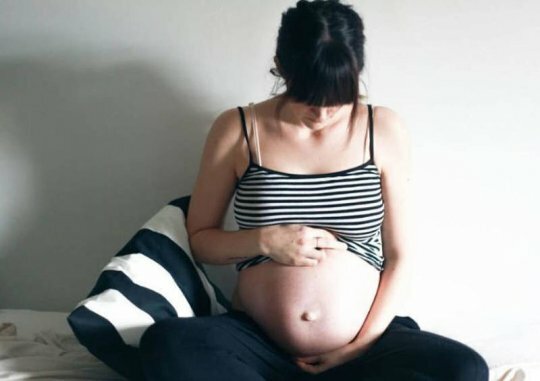 With all these rules and recommendations, you may find that you can’t sleep due to stress that you’re not helping the baby become as healthy as possible. Like many situations in life, worrying only makes things worse. Instead, visualize yourself holding your baby, playing with her, talking to him. Just accept that you’re doing your best. If you’re used to sleeping in a favourite pair of hubby’s sweatpants or a nightie, you may find that maternity has made it fit a little more snug than usual. Wearing restrictive clothes to bed is uncomfortable, and prevents sleep. You are the most important person in the family when you’re pregnant. Stress and worry only make things worse, so try to focus on your own health. If all you do is worry about the little fella growing inside, you may neglect your own physical and mental health. Be aware of your own needs. It may take longer to fall asleep when pregnant, and especially so if you’re frazzled. For the last hour of your day, do something calming and relaxing, like reading or watching a calm TV show. 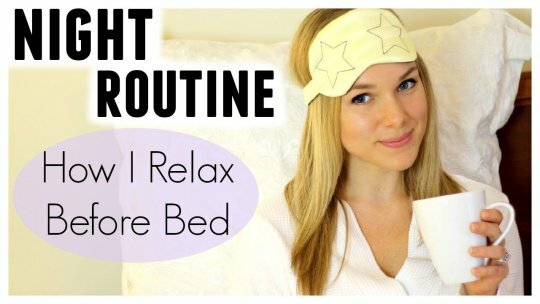 This will help you get into a relaxed mental space, leading to better sleep.